Does your house need painting services? Is your place old enough that its walls has lost their colours? Perhaps it’s high time for a home renovation! You can either hire condo painting services like 5 star painting to beautify your place or do the painting work yourself. But before rolling up your sleeves to start working, here’s a tip: you need to know first a few important things about house painting that will help you get started. 1. To avoid getting stubborn stains on your hands, make sure you use latex gloves. However, if you are allergic with latex gloves, you can thickly apply lotion onto your hands. Doing so will make cleaning easier afterwards. 2. Condo Painting services in Singapore such as 5 Star Painting Services don’t use cheap paintbrushes and roller covers. 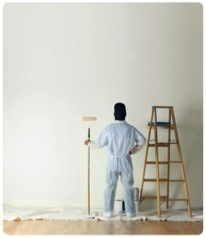 Cheap paint supplies will only leave fuzz and streaky marks as you paint the walls. A good tip is aways buy better tools as they will be worth your money. 3. Before you start painting, you can slosh your paintbrush in the same kind of solvent you will be using afterwards to clean the paintbrush. For example, water for latex paint. Doing so will make it easier for you to clean the brush once you are done. 4. You need to test if the current painted condo surface can absorb new paint. For this task, you will need to stick a duct tape to the surface and then rip it away. If you notice that paint flakes have come off with the tape, you may have to scrape then sand the surface first in order to remove the existing paint. In this way, the new paint will adhere more to the wall. 5. Be sure to paint in this order: start with the ceiling, then to the walls, cabinets, and lastly, to doors. Professional painting services can be expensive. However, if you don’t feel like painting your place with your own hands, you might consider hiring an experienced painter for example, 5 star painting services to do the condo house painting job for you. With professional painting services, you can be sure that they use paints that are of the best quality. Not only that, they are also equipped with the right painting tools. Moreover, they are excellent in estimating the right amount of paint to use. 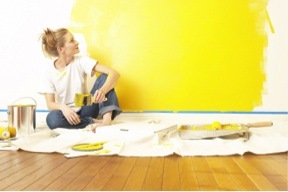 If you do it yourself, chances are you will be buying paint that is more than enough.